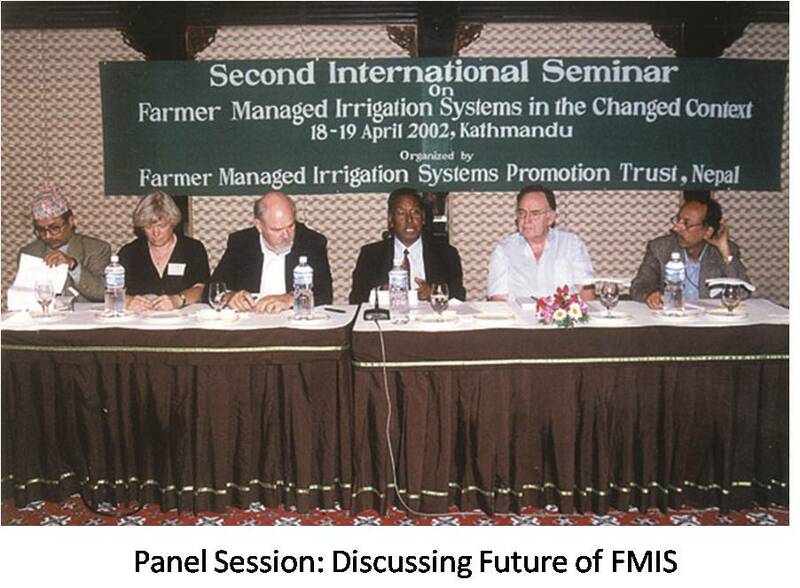 FMIST had organized five international seminars. Over 100 professional papers relating to FMIS were published through the proceedings of the seminar. Following are the list of the international seminars organized by FMIST over period of time. 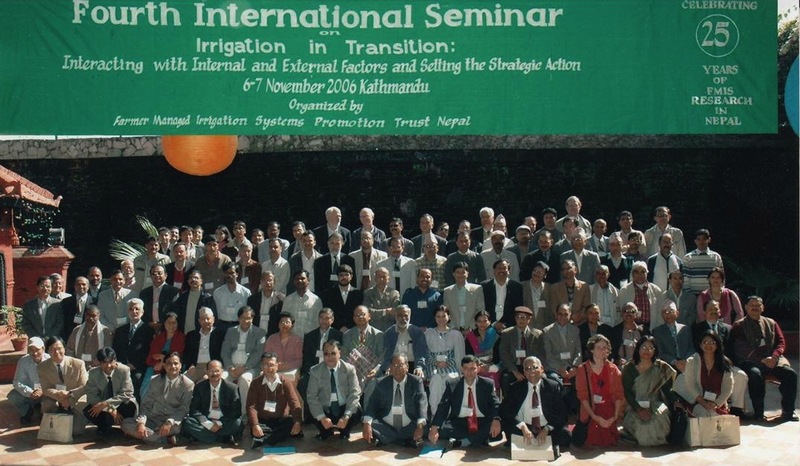 FMIST established a tradition of recognizing outstanding persons who have contributed in preserving and widening the knowledge of farmer managed irrigation systems anywhere in the world. Following are the list of the “ICONS of FMIST” who were recognized during different periods of seminar organization. 1st Professor Lucas Horst, Wageningen Agriculture University, The Netherlands Prof. Lucas Horst in recognition of his outstanding contribution in the area of farmer-centered research and development. Professor Emeritus Linden Vincent, Wageningen Agriculture University, The Netherlands Prof. Linden Vincent in recognition of her outstanding contribution in the area of farmers-oriented human resources development. Dr. Ujjwal Pradhan, Ford Foundation, Delhi Dr. Ujjwal Pradhan in recognition of his research and continuous support in the promotion of FMIS heritage and culture. 2nd Prof. Elinor Ostrom, Indiana University, USA Prof. Elinor Ostrom in recognition of her outstanding contribution in synthesizing international learning and crafting institutions related to FMIS. Prof. Norman Uphoff, Cornell University, USA Prof. Norman Uphoff in recognition of his outstanding contribution in farmer-centered academic enrichment and knowledge building. Dr. Robert Yoder, ARD, Inc., USA Dr. Robert Yoder in recognition of his research and continuous support in promoting the best farmer managed irrigation system practices. Mr. Charles Lindsay Abernethy, Consultant on Irrigation and Management, UK Mr. Charles Lindsay Abernerthy recognition of his outstanding contribution in transferring the hands-on managerial and technological innovations in irrigation systems. Prof. Nyoman Sutawan, Udayana University, Bali, Indonesia Professor Dr. Nyoman Sutawan recognition of his outstanding contribution in enriching the indigenous knowledge and practices of farming community with sustainable economic development activities. Dr. Emmanuel Reynard, Laussane University, Switzerland Dr. Emmanuel Reynard recognition of his outstanding contribution in interdisciplinary synthesis of geographic knowledge with water management in mountainous regions. 4th Prof. Nirmal Sengupta, Indira Gandhi Institute of Development Studies, India Professor Dr. Nirmal Sengupta recognition of his outstanding contribution to exploring and enhancing indigenous knowledge of institutional economics in the realm of common property resources through a multi-disciplinary approach”. 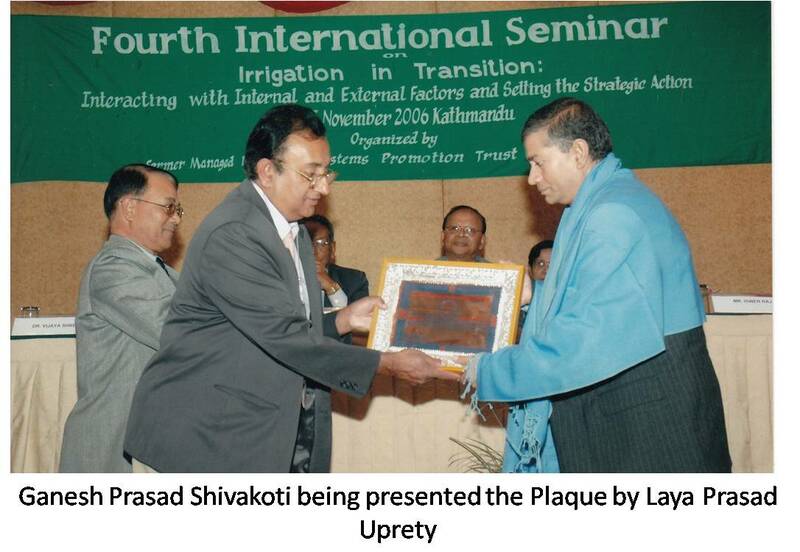 Prof. Ganesh Prasad Shivakoti, Asian Institute of Technology, Thailand Dr. Ganesh Prasad Shivakoti in recognition of his outstanding contribution to broadening the knowledge and research base of farmer managed irrigation systems in the international arena”. Dr. Wai-Fung Lam, Hongkong University, Hongkong Professor Dr. Wai-Fung Lam in recognition to his outstanding contribution in crafting and applying institutional analysis design for comparing evolution of irrigation governance structure and policies about farmers’ common-pool resources”.